Pure analog circuitry delivers classic delay sounds. 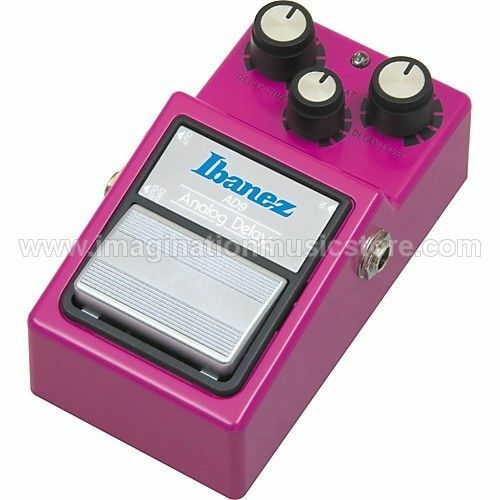 The Ibanez AD9 Analog Delay Effect Pedal uses a compander with pre- and de-emphasis for an exceptionally clean delay. Time and level controls allow mixing between dry and delayed signals. Repeat control lets you adjust the number of repeats without runaway. 2 outputs enable dry and delayed signals to be routed separately.